An unusual rainstorm has plunged the entire Bole in the Bole-Bamboi district of Northern Ghana into total darkness. 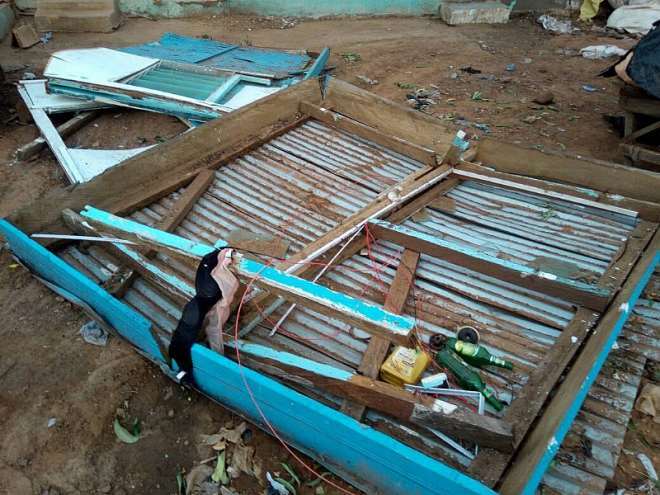 The rainstorm which occurred between the hours of 8:30 pm and 10:00 pm Monday night caused a lot of destruction. 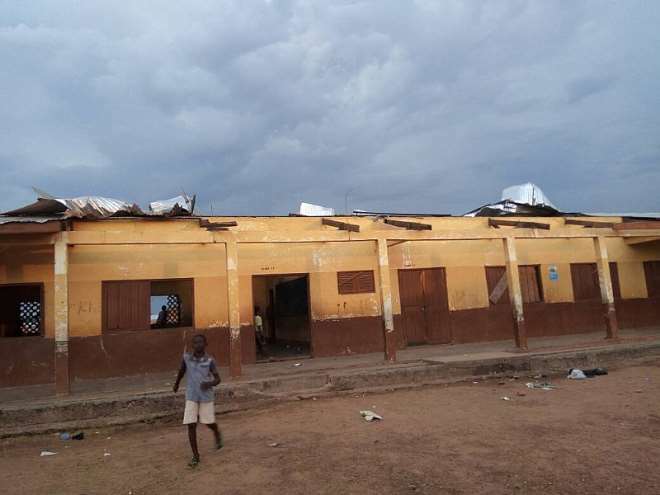 The hardest hit areas are the Bole Health Centre and Kurabaso Primary School where the roofs of both buildings got totally ripped off. 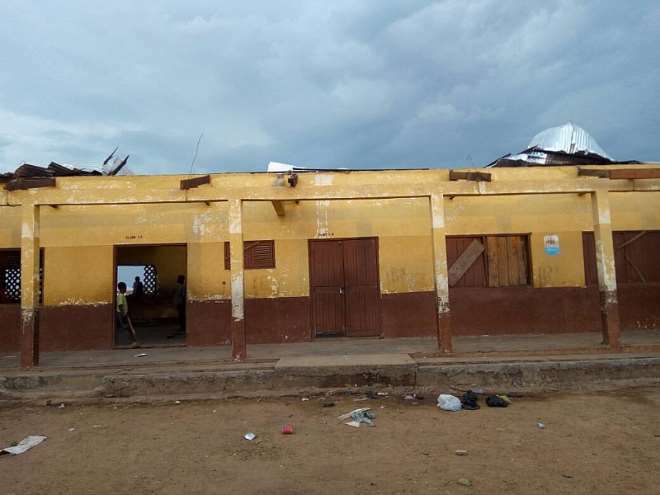 The strong winds pulled down a mosque at Yelwe near Atta 130's house.The old roofs of the Ghana Commercial Bank story building in the district got ripped off as well. 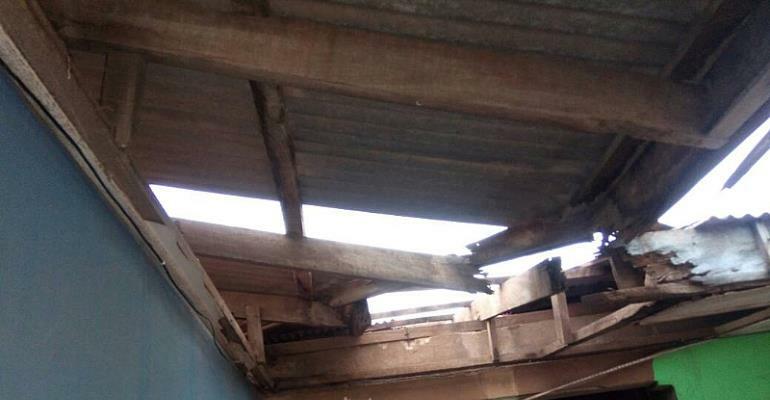 Communities such as Sawaba, Mempeasem, Jakala among others saw the roofs of many houses being pulled with accompanying loss of valuable properties. A lot of trees also went down. Some VRA extension poles and wires have been pulled down causing the blackout. It can be confirmed that the entire Bole District is still in darkness at the time of filing this report. Meanwhile, the NADMO office in the district is ascertaining the extent of damage caused for appropriate action. Many have however started blaming the leaders for being the cause of the rainstorm.In their view, the leaders failed to bring an end to the illegal logging activities which increased with impunity in and around the district. This they say is now exposing the district and others to the vagaries of the weather.